“I envision him being a dynamic, power-hitting weapon off the bench,” Phillies manager Gabe Kapler said. “The numbers against righties are outrageously good and the plate discipline fits right in with our lineup. He knows how to look over the baseball. He attacks it when it’s in the zone. He fouls balls off. He fights. He is a tough out,” he said. The Phillies also will receive $466,129 from Miami, which is half of Bour’s remaining salary this year. 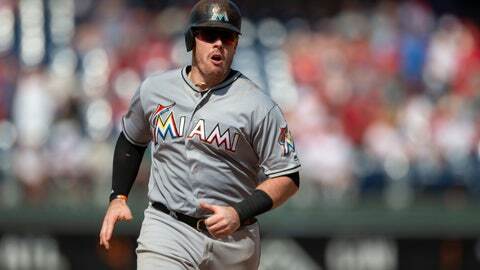 Bour is earning $3.4 million after winning in arbitration. He is eligible for free agency after the 2020 season.